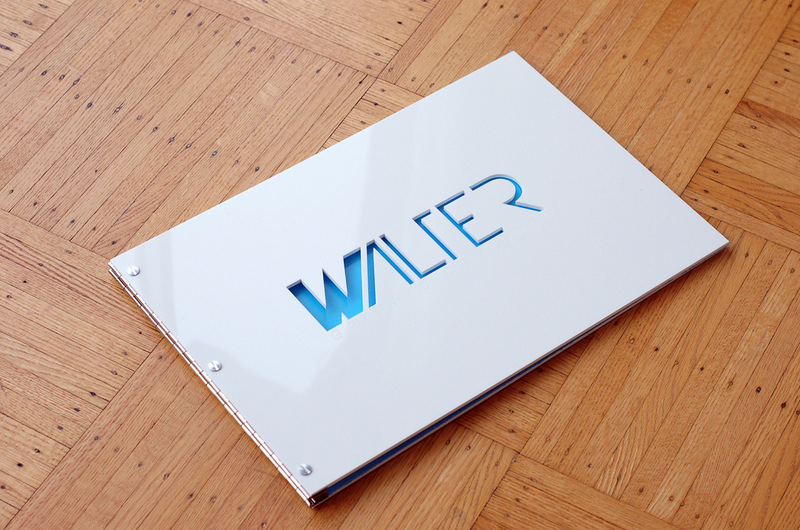 This 11 x 17 custom, white acrylic presentation book has the designer’s name as a cut out, and “Graphic Designer” engraved underneath. I love this look because it gives the viewer a sneak peek of the first page of the portfolio. 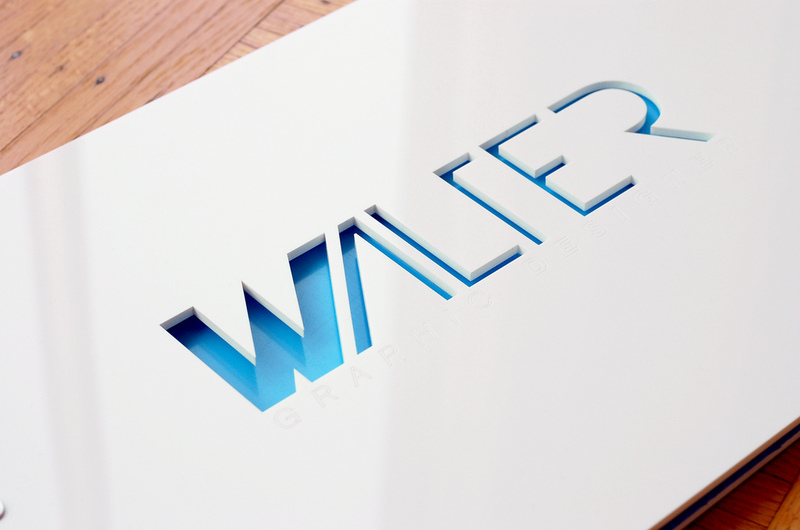 It makes a bold statement and gives the portfolio book a lot of personality. What do you think? All Klo portfolios are hinged with screwposts and work with standard page protectors. If you have a custom presentation book idea of your own, visit the Klo Website for more info or shoot an email to info[at]kloportfolios.com with your questions.